ORONO, USA – When e-bikes first really emerged in the US market in the 1990’s, there were a handful of generic models available for sale. Merida, Currie, Yamaha, and Honda were all players, but no one model stood out from the others in terms of appearance, performance, and capability. People came into retail locations to buy an e-bike, not a Yamaha. Things have changed since those early says, but there’s still a long way to go. 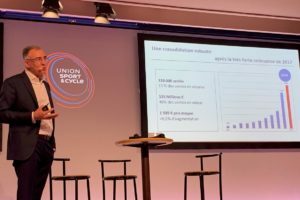 Now there are over 40 companies situated and selling (or getting ready to) e-bikes in the US: Advanced Sports Breezer, Aerobic Cruiser, BionX-Magna, Busettii, Cannondale, Conscious Commuter, Currie (Accell Group owns), Ecobike, EB Bike, EG Bikes, Electraped LLC, Electric Wheels, eMoto, E-Road, e-Tour Ebikes, EZ Pedeler, eZee, Focus Bicycles USA, Green Choice Moto, Hanebrink, Hebb Ebikes, HeroEco (Ultra Motor), Hummingbird, Hybelec, Hybrid Energy Pro, Kalkhoff, Motorino Scooters & Bikes, MyBike (formerly Pietzo), New World Wheels, OHM Cycles, Optibike, Pedego, Polaris, Prodeco, SBS (Torker & Batavus), Schwinn, Stromer (BMC owns), Trek, Thrust Ebikes, Urban Mover, Urbana Bikes, and West Coast Electric Bikes. The competition is growing and with it, differentiation. Appearance, performance and capability matter now. US consumers are becoming more discerning regarding e-bikes and manufacturers are stepping up to set them apart. Targeting commuters, baby boomers, extreme riders, green enthusiasts, and more, e-bike companies have started specializing their products to appeal to specific groups, and people are noticing. In an age where you can easily change the color of your cell phone, laptop, tablet, etc. the US electric bike market has woken up to the fact that consumers are demanding customization and personalization. Instead of shopping for an electric bike, today’s consumers are shopping for color, style, graphics, and fun accessories in order to project their own uniqueness out into a world that has become very busy. Gone are the days of all e-bike manufacturers using generic bicycle frames, you know the one: not quite a mountain bike, not quite a cruiser, not quite a road bike. E-bikes are finally showing some personality, like the people who own them. Pedego is one of the larger e-bike brands in the US, Pedego has made a name for themselves with the unique style, color, and look of their product. And even though they have a niche product with their beach cruiser style, they’ve managed to snag a large portion of the market. Why? They appeal to the largest group of e-bike purchasers – baby boomers. These are middle-aged folks with expendable income. And people with expendable income want a product that makes a statement about who they are and what they’ve accomplished. And with a price tag for their cruiser that starts at US$1,895 and goes up to US$2,395, you can bet they are showing these bikes off. Pedego isn’t the only one either…BionX, Stromer, Optibike, Kalkhoff, EZ Pedaler, and eMoto are all successfully selling electric bikes that appeal to this age demographic for the very same reason. Each of these companies has created a unique brand that appeals to discerning, more affluent customers. BionX has brought back the high-end retro feel of the 1930s with its Styriette model which sells for around US$4,500. The original Styriette was a gas-powered bicycle way ahead of its time, created by an Austrian company. 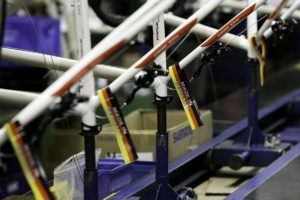 Stromer (who was acquired late last year by BMC and is now called International Sport Holding (ISH)) channels its Swiss roots marketing a top end, powerful bike that appeals to many Americans. The clean powerful look of both their standard and step-thru models are backed up by great performance. They retail for US$2,850 and up. Optibike has most obviously cornered the luxury market as the self-proclaimed “Ferrari of electric bikes”. And with a retail price anywhere from US$5,995 to US$9,995, you can bet their reputation lives up to their claim. Kalkhoff brings its clean German styling to the mix, providing a sense of reliability and value. Kalkhoff has long been known for its high-quality products and their numerous models of e-bikes do not disappoint retailing from US$2,000 USD – US$5,299 USD. EZ Pedaler bikes have that comfortable, stable feel about them, which appeals to an older demographic. They offer a reasonably priced standard and step-thru cruiser which retail for US$1,895 and a foldable version that goes for US$1,795. And finally eMoto, provides a variety of European inspired looks to suit anyone’s needs. And with prices from US$899 to US$1,799, these electric bikes can appeal to any demographic. 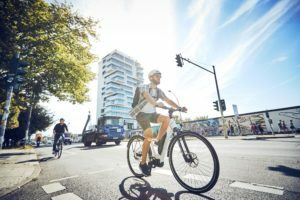 Although the baby boomer group appears to currently have the most buying power when it comes to e-bikes, there are several other niche categories that are beginning to emerge. Why? Because these market groups have the potential to grow exponentially over the next 10 years. Some are already vastly successful elsewhere in the world and some are still surfacing, but all have the promise to be extremely successful. Prodeco Technologies is a newer company to this industry and one of the first to produce high-quality products at extremely reasonable prices. There really aren’t many competitors for Prodeco at their MSRP price point of $999 – US$1,099. And they still manage to pull a decent margin for their dealers, which is a good spot for them to be in at this time. The Hanebrink Electric All-Terrain bike is geared toward off-road, rugged riding. This product could be considered a replacement for an ATV or UTV, which is a huge potential market. (And we’ve already seen Polaris enter the market, so they must see the potential. The Aerobic Cruiser Hybrid Cycle targets people who want to live healthy lives by focusing on endurance and exercise in riding. This electric bike touts the ability for a user to customize their workout by controlling the human/electric power ratio. Conscious Commuter intends to produce an electric bike solely focused on the needs of the urban commuter. As gas prices continue to rise, the commuter market for e-bikes will only grow. And, then there are the Thrust Eco-Delivery electric bikes which are engineered specifically for food delivery fleets. Any company that offers delivery services is a prospect for electric bikes. This is not only a growing market in the US, but worldwide and has huge potential for the entire LEV industry. 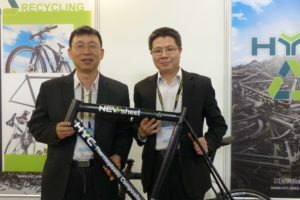 Niche markets within the electric bike segment have developed and grown over the years due to consumer demand as well as companies realizing they have to differentiate themselves to get noticed in a sea of Asian imports. That being said, it’s not all about looks or finding a niche in this business. Performance will always be a key factor for US consumers when considering the purchase of an ebike. Unfortunately, e-bikes in the USA have had a notoriously bad reputation for poor function. Good ones are available now, but they are mixed in with products that are still under performing and unreliable. The problem has been that the US consumer’s (and bike brand buyer’s) demand for a low, low price continues to pull junk into the e-bike market. And there’s not much to be done about that. There will always be a market for a cheap, poorly made products (as it is with virtually every other product on the market). The good news is however, there are plenty of well-made, good-performing e-bikes to choose from and plenty of ways for consumers to find them. The “peer review” has grown into a huge phenomenon in the US. Product reviews are accessible to anyone for anything now. No one purchases a product without researching what everyone else thinks of it first. The same is true for e-bikes. There are several places a discerning consumer can read reviews for different e-bike brands sold in the US and can very easily determine the good quality products from the sub-par ones. Peer reviews, though helpful aren’t the only way to compare electric bike brands. There are also a handful of non-biased e-bike enthusiasts out there who provide information to consumers through their websites. Pete Prebus of www.electricbikereport.com has a website dedicated to spreading the concept of the electric bike as well as helpful service and maintenance tips, industry news and product reviews. Pete uses videos, podcasts, and the written word to share his findings. And since users can comment right on his website, visitors are not only getting his feedback, but that of other owners of e-bikes as well. Rob Means of www.electric-bikes.com is another enthusiast (and seller) of electric bikes who has dedicated himself to providing detailed information on products in the Light Electric Vehicle (LEV) industry. His website contains information on every electric bike sold in the US (past or present) and can be extremely helpful when comparing products. The laws governing the power and speed of e-bikes in the US (HR 727) have not wavered since being adopted in 2002. Motor power in the USA can be as high as 750 Watts and most brands have found that this is more than is needed. So e-bike motors range from 250 Watts to 750, with the bulk being 500 Watts or less. And the majority of e-bikes have a top speed of 20 mph (32 kmh), since the law prohibits anything faster. Some ebike functionality has definitely seen improvements over the years. For instance, the computer display has evolved into a smart display. They can calculate not only speed and distance, but heart rate, calories burned, and carbon emissions saved, etc. With some, you can download your trip information to your computer and have a record of all of your rides. Several brands in the US are also now offering two different methods of power: pedal assist as well as throttle on demand power. These options give consumers more flexibility in the way they ride as well as the possibility to increase their range. There are usually two types of riders of e-bikes – those who pedal and those who do not. This feature satisfies both needs. US distribution of e-bikes has stayed fairly constant over the years, with the majority of product being sold through IBDs and online. There is also a good amount sold through LEV specialty retailers and big box stores. 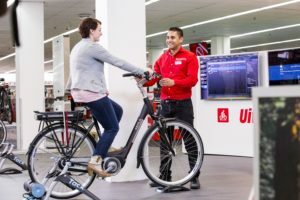 But be prepared for other channels to open up in the next few years, as e-bikes find space in ATV/UTV stores, auto dealerships and other transportation outlets. All in all, e-bikes have come a long way since their introduction into the US marketplace. But they still have a long way to go.